As there are many types of social occasions which make it possible for crowds of all sizes to enjoy themselves, it doesn’t matter what type this is because they can all be suitably catered for or where it is taking place, Chesham, Aylesbury, High Wycombe, or Buckingham. Whether this is through providing a few sandwiches for a family gathering or asking your guests to provide their own food, we are able to supply a unique style of catering which is nothing like you’ve tasted before. This can be supplied if you live in the Buckinghamshire area as we have previous experience of providing our services for this county. Found within Buckinghamshire is Pinewood studios and expansive countryside which many of the counties residents have enjoyed for generations. But, thanks to our services we have been able to provide a catering experience like no other. But what is it that we can supply? 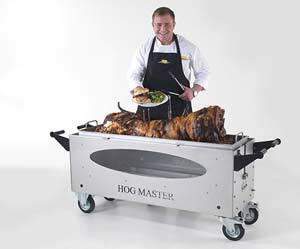 Our Chesham hog roast machine hire has been provided for a number of people all around Buckinghamshire. The way in which our machines are able to cook the meat in such a succulent way is simply sublime and several of these customers have recommended us to their friends and family. As well as hog, our machines can also cook beef, lamb and also any type of vegetarian food. In all, we charge three different amounts which are adjusted according to what you actually require from our machines. The first payment option which we charge is for the machine and a meat of your choice to be supplied. This possibility has been selected by our customers who have wanted the ultimate level of convenience to be given to them. Whether this is because they have wanted to entertain their guests or for any other reason, we always try to match their expectations. When customers choose this option, we arrive on the day before their social occasion is happening so we can instruct them about how to use their Aylesbury hog roast machine hire. It also allows for our customers to have plenty of time to cook their meat so when their social occasion actually happens their meat will be cooked to perfection. The second option is for us to provide you with a hog roast machine but not the meat. This has allowed our customers to cook the meat of their choice. This meat might have been a type which they have not tasted before and they’ve always wanted to try. Thanks to this convenient option, they have sampled the meat of their choice and also been provided with our assistance that has allowed them to cook the aforementioned meat to absolute perfection. But there is one final option which has proven to be just as popular as these two choices. Our third option has meant that a machine arrives in a box and our customers can then build their machine when they want. Constructed via easy to follow steps, our machines couldn’t be any easier to build and when this option is chosen customers can build their machine whenever they want. It must be remembered that customers who choose this option will need to provide their own gas canisters for their Amersham hog roast machine hire. As with all our machines, they can be hired for as long as they want. Whether it’s for a few days, weeks or even several months all options are made available. We do offer a reduced rate for when our machines are hired for longer periods. If you discover that you want to permanently experience hog roast catering, we can sell you one of our machines for a very reasonable rate. Our machines have been that popular that a multiple number of them have been bought. As with all our machines, it doesn’t matter how long you wish to hire them for as you can return your machine to us clean or dirty. Although we do charge a minimal fee for this cleaning service, we can do the hard work for you as we know that our machines can be difficult to properly clean. Whether you’re organising a party, wedding reception or even an awards evening in Buckinghamshire and wish to organise catering which is different from all the rest, why not contact our dedicated team for further information? You’ll be surprised at the magnificent prices we charge which can fit into any budget. 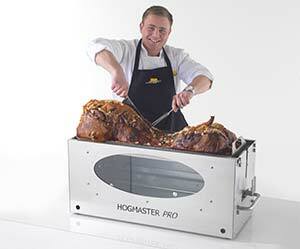 Hog roast catering in Buckinghamshire couldn’t be any easier when deciding to choose us for this. We can guarantee a first-class service time after time so do not delay in contacting us today if you want to find out more.